Purpose: The purpose of this paper is to present the findings of a study which is based on the results of a comprehensive compilation of literature and subsequent analysis of ERP implementation success issues in context to Indian Small and Medium scale Enterprises (SME’s). 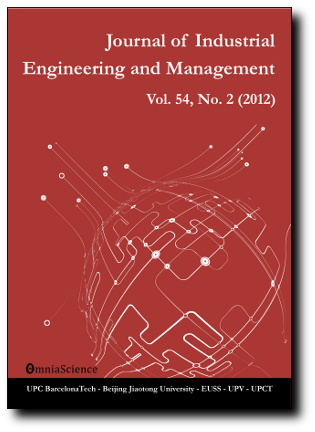 This paper attempts to explore the existing literature and highlight those issues on ERP implementation and further to this the researchers applied TOPSIS (Technique for order preference by similarity to ideal solution) method to prioritize issues affecting successful implementation of ERP. Design/methodology/approach: Based on the literature review certain issues leading to successful ERP implementation have been identified and to identify key issues Pareto Analysis (80-20 Rule) have been applied. Further to extraction of key issues a survey based on TOPSIS was carried out in Indian small and medium scale enterprises. Findings: Based on review of literature 25 issues have been identified and further Pareto analysis has been done to extract key issues which is further prioritized by applying Topsis method. Research limitations/implications: Beside those identified issues there may be other issues that need to be explored. There is scope to enhance this study by taking into consideration different type of industries and by extending number of respondents. Practical implications: By identifying key issues for SMEs, managers can better prioritize issues to make implementation process smooth without disruption. ERP vendors can take inputs from this study to change their implementation approach while targeting small scale enterprises. Originality/value: There is no published literature available which followed a similar approach in identification of the critical issues affecting ERP in small and mid-sized companies in India or in any developing economy.